The first meeting of what would become the North American Mounted Unit Commanders Association was held at the Pennsylvania State Police Academy in Hershey, PA on March 1st & 2nd, 2008. The intention of the first meeting was to develop a network of mounted unit commanders through which we could pool knowledge, which in turn, would help each of us improve our individual mounted operations. There were some presentations given during this meeting, but the highlight was the open discussions concerning liability issues that affect mounted units. Virtually everyone had something to contribute during this discussion and it was apparent we could all benefit from future meetings. The second meeting was held one year later, in 2009, and proved to further define our roles. We had the good fortune to have a member of Chief Counsel provide insight into liability issues that confront mounted units, along with steps we could take to protect ourselves within the scope of our duties. It was decided that we should form an association with certain goals in mind. Standards would need to be addressed. We do not want to be intrusive to individual mounted operations. Standards should not be detailed to the point of dictating policy. Standards should be relevant to each Mounted Unit’s Mission statement. Standards should be geared to Law Enforcement Units. We would open this to any mounted unit commander of a law enforcement entity. Encourage open communication of ideas. Prior to adjourning the meeting, we collectively formed the North American Mounted Unit Commanders Association (NAMUCA), developed a mission statement, elected a chairman and selected two members to serve as a steering committee to assist in facilitating a model for North American Mounted Standards to be presented at the 2010 annual meeting. The third annual meeting was again held in Hershey, PA, in 2010. Presentations included ways to ensure that mounted units are efficient and how significant reporting and documentation is for the mounted unit. In addition, the NAMUCA Board members met and discussed ways to further develop the association’s goals and our mission. The Metro Nashville Police Department Horse Mounted Patrol Unit hosted the 4th Annual North American Mounted Unit Commanders Association Training and Conference on February 26th & 27th, 2011. It was held in conjunction with their 2011 Horse Mounted Patrol In-service Training held February 28th through March 3rd, 2011. The event was sponsored by the Tennessee Department Of Agriculture, Metro Nashville Police Department, Tennessee Walking Horse Breeder’s and Exhibitor’s Association and National Bridle Shop. The Conference was held on the Grounds of Ellington Agriculture Center in Nashville, TN. This year, the training was not just limited to mounted unit commanders but was opened up to include all mounted law enforcement personnel. Participants came from 44 different departments from across the United States and Canada and they attended both the conference and the training. The Saturday through Thursday training event began with presentations from various different Departments covering a variety of different topics. The Mounted Patrol portion of the training focused on Crowd Management, starting with “de-spooking” the horse and formation riding, then ending with “handling a hostile crowd”. 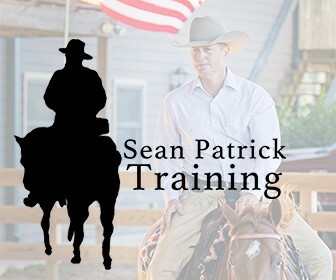 Overall, 127 people and 99 horses participated in the training event. The 5th Annual North American Mounted Unit Commanders Association Training and Conference was held in Lexington, KY, on March 2nd through March 4, 2012. Travel to Kentucky proved to be challenging for some, with tornado warnings being issued just hours before the training was scheduled to begin and causing flight delays for those arriving into Lexington by plane. Our sponsoring entities were the Lexington Police Department, the Kentucky Horse Park and Asbury University. During our conference, we had the opportunity to tour Asbury University’s Police Mount Training Program. Asbury University has a program to train and develop Police Mounts from a young age. A number of those horses are then used throughout the United States by law enforcement agencies. Milt Toby, an attorney from Kentucky, presented an outstanding lecture on the topic of “Legal Concerns for Mounted Units”. His lecture included general information that would be of value to any command staff. At each NAMUCA Conference, the NAMUCA Board members hold an annual board meeting. Annual discussions include ways to better refine the goals of NAMUCA, review our Mission Statement, and ways to grow our association membership. In 2013, the 6th Annual NAMUCA Training and Conference was held in Tampa, FL on March 2nd and 3rd. Our sponsoring entities were the Tampa Police Department and the Manatee County Sheriff’s Department. We heard lectures on topics ranging from “Planning for the Republican National Convention (RNC)” to “Budgeting [Mounted units] on Shoestring”. At the request of the Tampa Police Department, the vendor who supplied the riot gear that they purchased in preparation for the RNC, gave a hands-on lecture on the gear, demonstrating the abilities of the equipment for use in a mounted environment. The Tampa PD’s presentation “RNC: Planning, Equipping, and Implementation” was something that can be valuable to any agency planning for a large scale event. Also presenting this year, was the United States Border Patrol. The 7th Annual NAMUCA Training and Conference was hosted by the Los Angeles County Sheriff’s Department Mounted Enforcement Detail (MED) and the Los Angeles Police Department Metropolitan Mounted “E” Platoon. The training and conference was held Wednesday, February 26, through Sunday, March 2, 2014, at the Industry Hills Expo Center in Los Angeles County, CA. The 5-day event began with three days of “In the Saddle” practical applications instruction and concluded with two days of lecture, seminars, and presentations. Participants traveled from as far away as Brazil, Taiwan, and Australia. Members of the Los Angeles Sheriff’s Department (LASD) provided mounts to those personnel traveling from foreign countries. Instructors from the LASD Tactics and Survival Unit conducted Simunitions training from horseback utilizing realistic scenario based contacts. Riders received a variety of challenging training during the practical application portion of the conference. Weekend attendees included police executives and received lectures on topics such as Mounted Policing in the 21st Century, Regional policing combining limited resources and Liability and Risk Management conducted by the top law enforcement legal firm in the state. On Saturday evening, attendees were transported to the Los Angeles Police Department (LAPD) Metropolitan Mounted Facility for a demonstration and barbeque. The 8th Annual NAMUCA Conference was hosted by the Houston Police Department Mounted Unit. Held March 7th and 8th at the Chevron World Headquarters, presentations by the Houston Police Mounted Patrol Unit included: Barefoot Trimming; Diet / Herd Management; Mounted Patrol Legal Case Study; Utilizing Community Service Workers and Volunteers; Starting a Police Foundation; Mounted Sponsorship Program; a Crowd Management Demonstration in downtown Houston; Vet / Chiropractic / Dental Care; Natural Horsemanship along with demonstrations; and a tour of the Houston Mounted Patrol Unit’s stable facility. The 9th Annual NAMUCA Conference was hosted by the New York Police Department Mounted Unit. The conference took place from April 22nd through April 24th in NYC. Topics included: Large animal rescue with Demonstrations; Hazards at public demonstrations and crowd events; Equine Pharmaceuticals, retirement farms, and private adoption of retired police mounts; Reducing Line of Duty injuries; Creating a mounted unit manual; Fabricating leather horse tack; Pre-Purchase exams; Signs of colic and other equine maladies; Overview of NYPD Mounted Unit Remount School of Horsemanship; Mounted police candidate selection; Police horse purchase and selection; The Caparisoned horse; fire safety; and a tour of the NYPD Mounted Unit Remount facility and Manhattan stable. The 10th Annual NAMUCA Conference was hosted by the Kentucky Horse Park Police and the Lexington Police Department Mounted Unit. The conference took place from April 7th through April 9th at the Kentucky Horse Park. Presentations and demonstrations included: Liability and Injury with the Police Horse; Moving from Paper Documentation to Digital; Coping with the Stress of Building a Successful Mounted Unit; How to Build, Operate, and Fund a Mounted Police Unit; Using Social Media to Promote the Mounted Unit; Importance of Developing and Maintaining a Strong, Fundamental Seat; Firearms Training for the Mounted Police Officer and Horse; Construction Ideas and Thoughts When Building Obstacles for the Horse; A Look at Crowd Management at the Republican National Convention; A Spotlight Feature of the Minneapolis Mounted Police.